Crewton Ramone's Blog of Math: Homeschool Math, Games & Activities with Base Ten Blocks for Interger Fun. Homeschool Math, Games & Activities with Base Ten Blocks for Interger Fun. Using base ten blocks to teach Homeschool Math is the topic of conversation for a lot of people who have chosen to homeschoool...asking namely, "how am I going to teach these kids math if I failed math...?" And of course your first instinct is to teach math the way you were taught, even though you know from personal experience that it might not be the most effective way to learn math...here is a method that works and has been PROVEN effective--and best of all it's fun...and as an added bonus no number line to start with, just a noisy game kids love. Here is that simple game for teaching integers. I was going to make this a much lengthier post, but let's just keep it short and simple. My subtraction manual, Supremely Simple Subtraction is doing quite well, although I have now had several conversations where the gist of it is there is no way to describe how cool that book is...lol...still getting people who already have it to leave a simple comment is very difficult for a lot of reasons, but as you can see quite a few have done so now. Click that link get a FREE book...well, not entirely free you have to give me your email, but you won't have to worry about getting inundated with emails from me...in fact quite the opposite. There are people who have signed up on various email lists who have to this day not gotten a single email from me since. Even when they WANT an email to inform them of the new password or for notification of one of Mortco's extremely rare sales. I like this video because you can watch them learn in real time. 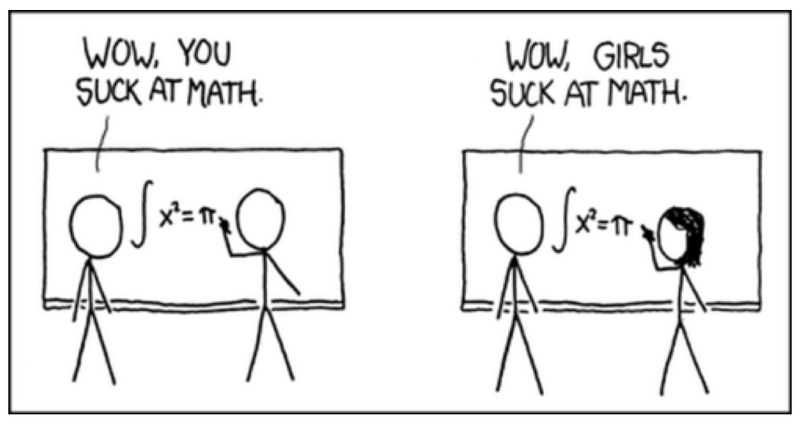 Play along don't just watch math is not a spectator sport. Also would it be as much fun if it was just me and one student? This is why I like groups. More is learned faster. I have used this game for years and I can tell lots of different stories about kids learning with the number line and getting confused and then this game clearing things up. Also the explanations in Supremely Simple Subtraction work wonders. I have had cases where the older sibling was taught with a number line and the younger learned with blocks thru me and the younger sibling blew the older sibling out of the water when it came to test time on integers...eventually I will have ten Series C Manuals done, subtraction is book three in the series, book one will be "Groovy Games & Addicting Activities" of which what you see here is just one. Series A Games and Activities is completely free no email or other interaction required there, hard copy costs about $3.20 (plus shipping) from Mortco. Don't say I never gave you nothin'. You can also use algebra and factoring polynomials to teach integers...but if you want to learn to do so, you'll need a password (then just go to advanced algebra on my website...or be good at digging around on this blog and the internet. 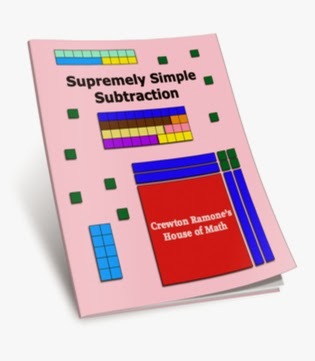 Here is a page regarding the teaching of addition and subtraction and more that you might find useful and may have had a hard time finding on your own. Note the girls are at no disadvantage whatsoever, and you may note I make an effort to call on the girls more than the boys. The myth that girls can't do math must be busted and laid to rest along side the myth that woman can't learn to read, permanently. That myth about women and reading was prevalent just a few hundred years ago in western culture. You can also use cuisenaire rods to play this game, just mark one side with a pen and make that the negative side. No biggie. "By the way, YOU ARE AWESOME! I actually clapped for you when you explained some concept soooo simply and clearly.It is fantastic!" ~K Ontario, Canada.We are excited for math today!!! ~amazed parents from all over the globe.First, I wanted to thank you for being out there and for introducing me to the Mortensen Method. I'm a new homeschooler who's been searching for Math under every nook and cranny of the globe. Worksheets I can make. Flashcards I can draw. Concepts and vision...now THAT'S something to pay for. Also, as a believer in the separation of church and state from an educational standpoint, I felt really at home at your House. Thank you for that, too. "I've paid a lot more for a lot less." ~amazed parents from all over the globe. "The training is crazy. No one is offering anything like it that I know of...and your price is crazy too." ~JC, CA. "The amount of stuff you get for the money is crazy. "~JJ, New Hampshire. "Just got the Parent/ Teacher Password.CR wasn't lying when he said 1 page was worth the price. Get it for yourself to learn how to think math." ~KY, USA.
" I really like how you do math. My kids do too! We were having problems and you made math good and happier for us. I sincerely say Thank You from the bottom of my heart." ~CS, Ohio. "So, I am absolutely flabbergasted by the stuff I am learning just hanging out in the House of Math like four to five hours (literally) per day! Before the little one gets up, I'm on. Nap time, I'm on. After bedtime, I'm on with toothpicks bracing my eyelids. Even before purchasing the passwords! It's like a crash course re-education, and I am infinitely grateful..."
Here is a collection of Testimonials. Great post with lots of great links. Thanks! I passed this on to my friend. I've been telling her and showing her with blocks how great your methods are. Upcoming Password Sale and Training..